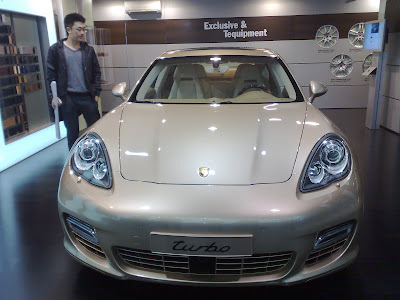 The Shanghai Auto show is taking place again at the Shanghai Expo Center some 20 min walk from the Long Yang Subway station, half hour drive from the city and almost an hour from where i live (courtesy to Simon Ma, my brother who gave me a ride and a special VIP treat from Porsche). 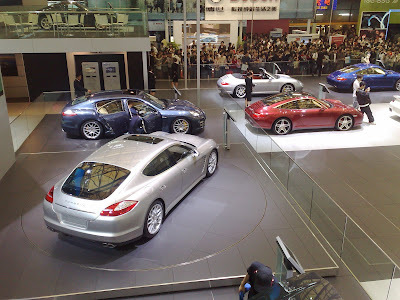 We managed to bypass all securities, check points, the sea of people and straight into Porsche den, which is opposite Cherry booth, a local giant car manfacturer. 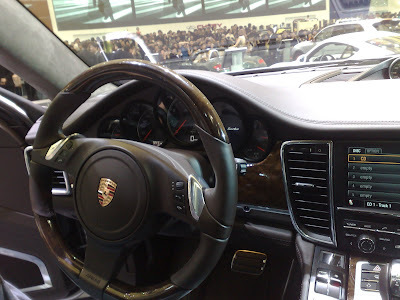 The 1st car we checked out was the new Porsche Panamera, the new Porsche Sedan ever made and China has the privilege of being the 1st country to launch it thanks to its fast growing economy and also its ever growing car industry. The China market beckons as a bright beacon for global automakers floundering in other choppy vehicle markets hit hard by the global financial crisis. First-quarter vehicle sales in China grew by 3.8 percent year-on-year to 2.68 million units, enabling the country to outstrip the US as the world's biggest vehicle market according to latest industry data. 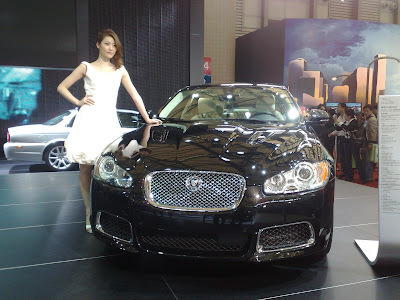 China's overall auto market may grow by 6 percent this year while the luxury segment should do double digit growth. 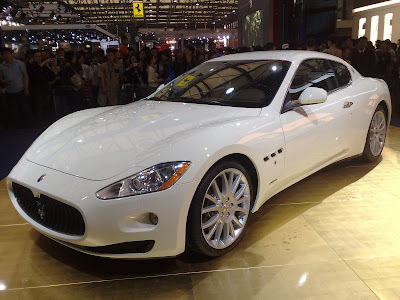 Now you would understand why some 900 models are being paraded here at the car show and all the manufacturers are bringing their finest work of art and technology to cater for the hungry Chinese customers. 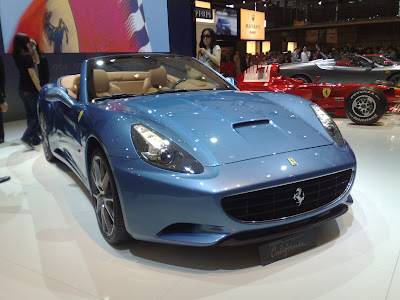 The Auto Show has made so much improvements from what was previously a small event. 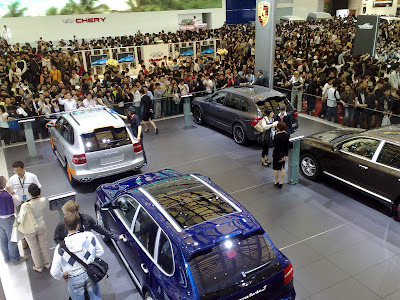 I first visited the Auto show in 2007 and in comparison to what its now, its huge and its almost impossible to see everything within a day. 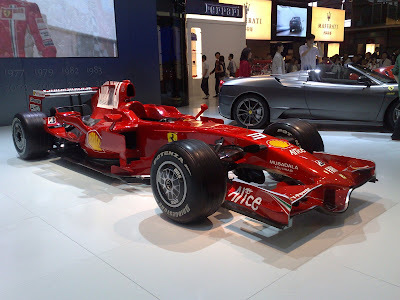 Because we didnt have much time, what we did was we zoomed in to check out only the best in class ie, Porsche, Mercedes Benz (which is quite boring), Ferrari and Maserati. 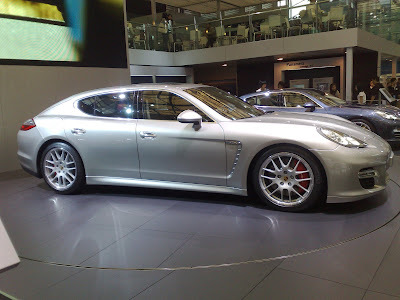 To cut the story short, with so much to explore, i fell in love with the latest Porsche Panamera, the car is simply awesome. 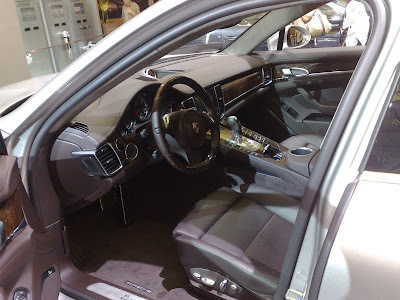 The minute i stepped into the driver seat and put my hands on the steering wheel, the feel is simply unbelievable. 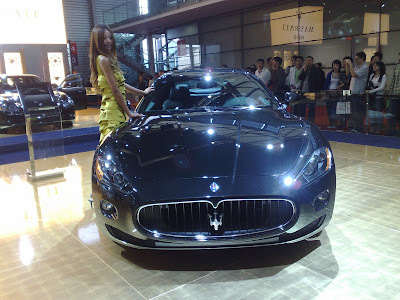 The price is over RMB 2 million (alot goes to the government coffers as tax) depending on the specs and finishing. 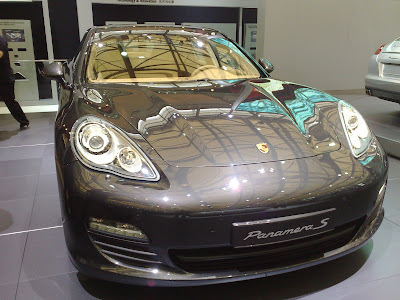 In comparison to Ferrari, the Panamera is a whole lot cheaper and more importantly its a real value for money and very practical. 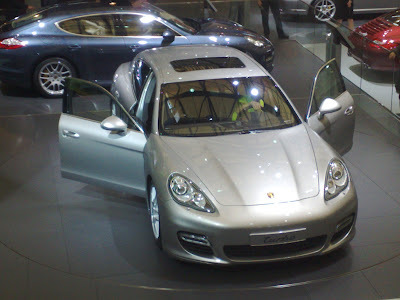 Its really a "driver" car and it will only be made available by the end of the year and guess what, according to the sales guy, they had already took orders of over 30 Panamera up until yesterday. What recession are we talking about?? You simply cant feel it here. 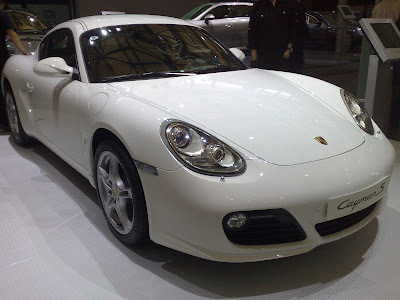 While i was in love with the Panamera, i guess the price is a little steep for me, i guess reality kicks it after a while and I had to look at something more affordable. 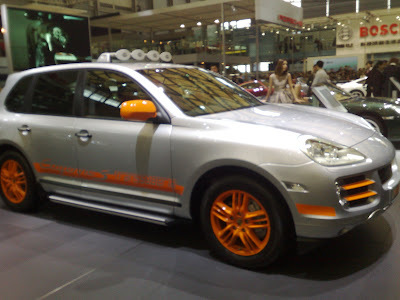 At under RMB 1 million, the Porsche Cayenne looks more realistic. Its a great car with a good feel too. 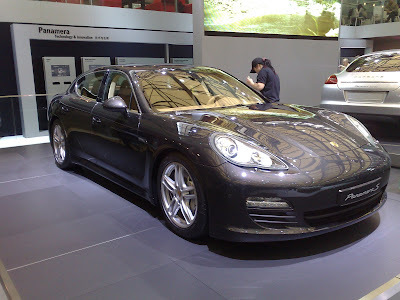 While its no match for the Panamera, its a practical for a family man like me. My wife, Fionne loves it too and she was trying hard to hold my fever and ask me to re-think the idea of buying one. 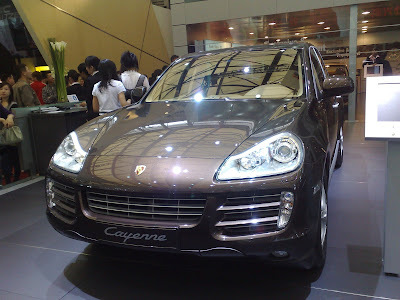 Frankly, i m still having the Cayenne hang over. You will love it too. Check out some of the pictures that i had included and enjoy it.